What can people or teams learn from horses? What is the benefit of horse assisted learning and development? Where are my leadership strengths? How can I use diversity in teams in an ideal way? How can I put and accept borders? What goals do my team and I have? Where do I want to go with my team or company? How does shared leadership and delegation work? How to lead in networks or projects? And why horses as trainers? For a long time people and many successful leaders have been closely connected to horses. Great personalities like Alexander der Große have actually grown up with horses. Horses have been teachers and partners which have helped to develop and live leader qualities. Being powerful but also sensible at the same time horses have helped people as a mount, pack and draft animal for centuries. More specifically they have helped to overcome great distances and with that to expand the own borders. 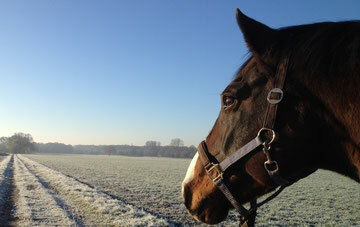 Horses as a trainer are open-minded, a clear mirror of yourself and they are able to give you feedback. They do not know any role plays. Only the current situation is relevant for them. Horses as a trainer create a learning environment in which you can engage in an individual, emotional and effective learning process. Experience with horses is not neccessary. You only have to bring the courage to get involved with something new. This is what is demanded more than ever today. And if you now got curious about this topic . . .
Click here to see some examples! ANDRESCHAK.biz meets HorseDream - The Corporate Approach: Since 2012 Heike Andreschak is a member of the EAHAE International and licensed HorseDream Partner. The substantial experiences of this international network and more than 20 years of application of the HorseDream the approach guarantees professionalism as well as plenty of impulses for everyday and workday life.